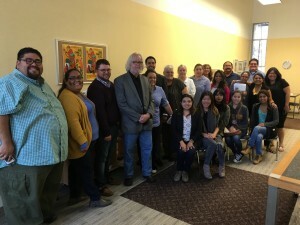 The San Francisco Labor Council and the California Federation of Labor hosted an historic summit of 12 California Labor Councils to discuss how the union movement is uniquely positioned to help immigrant workers and their families. In the context of I.C.E. raids, stalled national immigration reform, the Supreme Court “non-ruling” that has kept President Obama’s DAPA order on hold, as well the difficult process to obtain Green Cards and a path to Citizenship, we thought we should gather to discuss how Labor Councils can support immigrant members of our affiliate unions with the difficulties they face. Neidi Dominguez and Gloria Alvarado, great national organizers from the AFL-CIO, also co-hosted this meeting and flew to San Francisco to give us a national perspective. 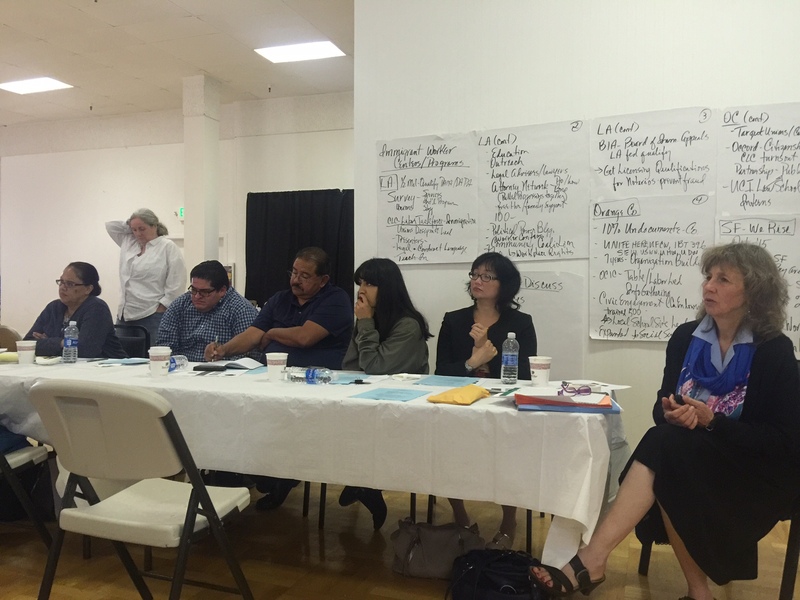 Three panels from the Los Angeles Federation of Labor, the San Francisco Labor Council and the Orange County Federation of Labor presented information about the Immigration Centers and diverse services they have established in their three counties. Leaders were treated by the staff of the San Francisco Labor Council’s Center, “We Rise San Francisco,” to a tour of the new San Francisco offices. Susan Sachen and Hector Saldivar from the California Federation of Labor helped with the organizing as well as facilitating and compiling notes from the formal and informal input everyone provided. We set an agenda for four hours, but the discussion spilled out longer and we agreed to plan another meeting in California after the November elections. The theme of this meeting circled around an idea that AFL-CIO Executive Vice-President Tefere Gebre advanced two years ago: We all have union halls that have large spaces that we don’t use more than a few times a month. Let’s set up citizenship programs for immigrant workers so that workers know that labor unions are the place where they have the best chance to obtain citizenship, get legal help, register to vote, and obtain protections from deportations. The same unions halls where they obtain and keep a good union job. And that’s what we talked about. Legal help, screening, a safe place to talk about status, certification for union staff to officially process members cases, citizenship as a goal for voter registration, laws we have passed locally and statewide to stop companies from using I.C.E to break up organizing efforts, etc. 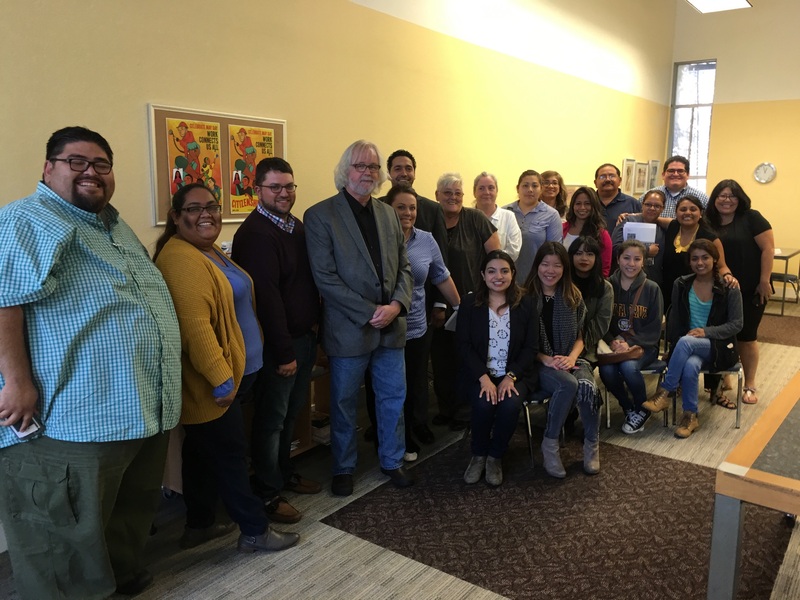 Besides the AFL-CIO and California Federation of Labor staff, the CLC’s from San Francisco, Alameda, San Mateo, Contra Costa, Fresno, Monterey, North Valley, San Joaquin, Merced, Stanislaus, Tri-Counties, Los Angeles, and Orange Counties brought principal officers and staff. Sacramento and Bakersfield had scheduling conflicts but will come to our next meeting. As unions and Labor Councils, we have many issues at the top of our advocacy: health care reform, affordable housing, the right to organize a voice at work though collective bargaining, Project Labor Agreements for construction, etc. Immigration reform and protections rise all these waters for our members and our families. Summary: Even with anti-worker court rulings and a Congress that refuses to fix our failed immigration system, the California labor movement will continue to protect immigrant workers who pay taxes, work hard and make America work. This meeting was a great first step in California to engage this work everywhere in the state – rural and urban, coast to valley, north and south. Workers standing together win together!